Sadly, we've learned that our great friends Ian and Marion will not be meeting us in Santiago. Although they sped ahead of us about a week ago, injuries have cut their trip short and we hear they are headed home. This will not be the end…we hope to see them again, perhaps in California or their home in England. Cheers to you both. We will miss you and wish you the best! 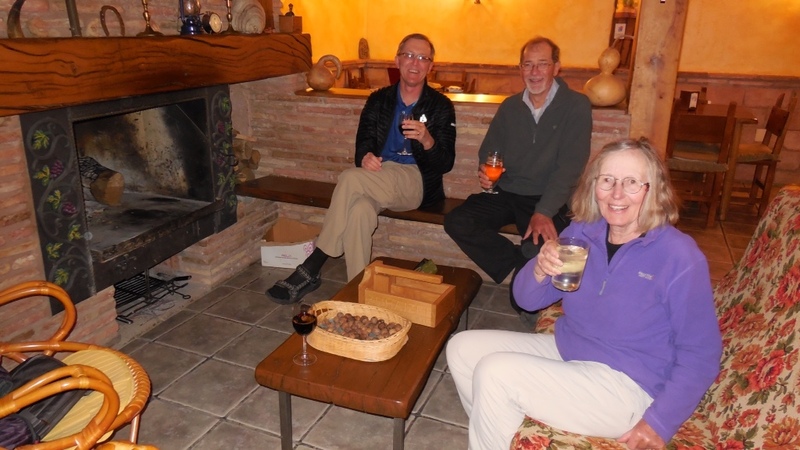 We joined Ian and Marion for a drink at their Hostal in the town of Belorado. The warm fire provided a refuge from the drizzle that night.